After a 2 year hiatus BBC's international sensation "Sherlock" returns for Season Three and fanboys and fangirls couldn't be happier! Benedict Cumberbatch and Martin Freeman are once again having a ball inhabiting the iconic characters of Holmes and Watson. In every single scene and in every witty line of dialogue these actors are nailing it every episode. "How did Sherlock survive the fall to his death?" I don't want to spoil anything but what I will say is that writers Mark Gatiss, Stephen Thompson and Steven Moffat will have fans thrilled with every twist and turn making season three every bit as satisfying as the first 2. Obviously the only problem with the series is that each season contains only 3 episodes and therefore you are always left wanting MORE! 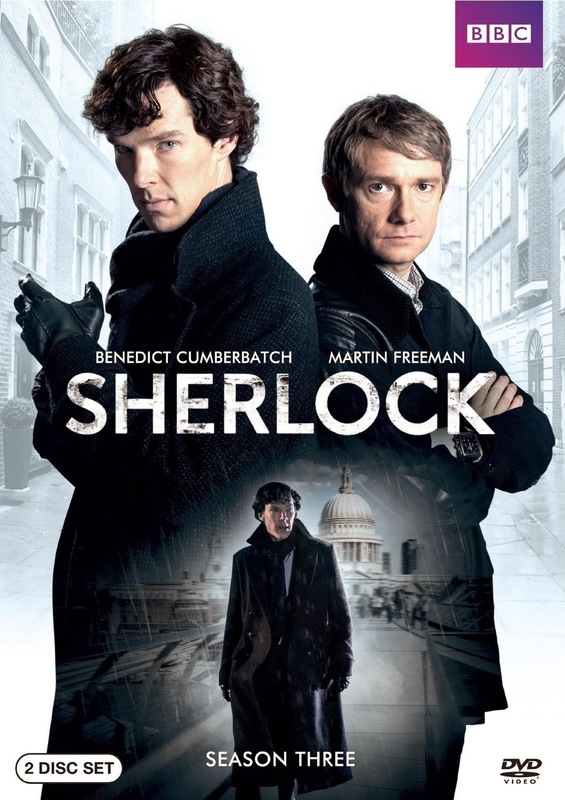 My fingers are tightly crossed that we don't have to wait until 2016 for more Sherlock. Until then you can revisit the sleuths again and again on this great DVD set. Drumroll please... 9 out of 10 Deerstalker hats!! !